Janet Salmons is a network member and a contributing expert to the online team. JS: Can you discuss the research or thought process that went into your definition for “virality” as described on page 16? Virality is a social information flow process where many people simultaneously forward a specific information item, over a short period of time, within their social networks, and where the message spreads beyond their own social network to different, often distant networks, resulting in a sharp acceleration in the number of people who are exposed to the message. JH: In previous research projects looking at blogs and videos, we looked for a definition and couldn’t find one. We had a lot of discussion to come up with a definition that was rigorous, that researchers could use. KN: We started in 2008, and at the beginning, the definition was similar to those used in marketing and communications literature. It talked about speed of virality and distribution of information inside and in between networks. But it wasn’t refined enough, or crystalized enough, it was missing something. The definition has to have these components. It’s a social process-- a social information flow, not just an information flow, and it has to be social, moving from one person to another. It is not just broadcasting. The speed is important and also the reach and spread, not only the number of people it reaches but also the networks it hops through. JS: Can you explain the “viral information event” (p. 17)? KN: We distinguished between a viral “event” and a viral “topic.” An event is an information item, a video, a text, any information item that spreads through network. An information topic is a combination of many different viral and non-viral events around a particular topic. For example, think of Snowden as a topic, it was a combination of information events that were non-viral and some went viral. So while not all events went viral around the Snowden leaks, the whole topic is defined as a viral topic. JH: To say something is a viral event is to narrow it down to something specific, one event. JS: Can you discuss your thinking about many-to-many? In the book you talked about how the “many” have a role beyond just forwarding a message. KN: There is a misconception that when we discuss virality, we refer to the same information item being spread. But in many cases what happens is that when I post something on Facebook, and add to it some text, I have reframed the item. In creating a social information flow, people shape it according to their own values and norms. JH: When I share a video into my network, I usually add a comment and when I do that I am essentially framing the message and re-contextualizing it for my audience. That’s an important aspect of why these events are social. The many-to-many part of it means that it subtly or not so subtly changes the meaning of the message or augments the meaning embedded in the content. JS: I was intrigued by the point that sometimes reframing actually negated the message from the original content. Other thoughts to add about re-framing? JH: In our first viral study of blogs and videos, we started to realize there is this idea in networks that people create links because they are similar in some way, this is called “homophily.” We looked at blogs linking to viral videos, and we saw that liberal blogs linked to the same videos that other liberal blogs do. And conservative blogs link to the same videos. When they cross-link, when the conservative blog links to a liberal video, it is because the conservative can re-frame or re-cast the video in a way that supports their own ideas. When a liberal blogs linked to a conservative video and says, those dirty conservatives are sending out attack ads again, they are changing the way their audience is perceiving the video. When they click it, the viewers see it as an attack ad, without even listening to the conservative message. Instead we are pre-conditioned to see the video as an attack ad because of the re-framing of the message. KN: When I developed network gatekeeper theory in my dissertation I didn’t realize it would be popular 14 years later! There is a lot of information control and power dynamics in social networks. Information technology design is not neutral, it is very political, not political in the sense of partisan. When we design social networking sites we promote certain values, interests and political interests. Once we agree that technology is not neutral, we can also discuss how information control (gatekeeping) is political as well. We see different types of network gatekeepers. Each one of us can be potentially a network gatekeeper, if we exercise any type of information control. If I ask my children not to enter to certain sites, I am creating a gatekeeping process. Network Gatekeeping Theory enlarged the traditional gatekeeping concept from selection of information, as editors did, to encompass something larger, to encompass information control. What is the connection between network gatekeeping and virality? There is a strong connection. For something to become viral it needs to be driven by two kinds of forces. One, which is top-down, through the network gatekeepers, where certain actors exercise power and information control and help to spread the information. The other is a bottom up force, about information influence, that is organic, sharing data and interests between people and networks. When these two forces come together, that is when virality happens. Almost every viral event goes through network gatekeepers. Facebook is a gatekeeper, Twitter is a gatekeeper, the government is a gatekeeper. Each one of them exercises a different level of gatekeeping, but viral events must go through gatekeepers. JH: We are all gatekeepers in social media. Each one of chooses to share, or not share, the content we come across. When we choose share it, we broadcast it out to our network. As a gatekeeper in my network, I don’t have the same kind of diffusion power that Huffington Post has. But, the 150 or so followers I have, may not be exposed to that message unless they hear it from me. So gatekeeping is a process that has to do with the choices we make. JS: Gatekeeping seems to relate to a lot of wider issues of identity and the choices we make to create networks that promote our identity. KN: Network gatekeeping is not only about filtering information. The main role of the new gatekeeper is to connect one network to another, like boundary spanners that are described in management literature - they can link one network to another, allowing the virality engine to spark. Virality has the power to challenge social structures, the institutional structures, the main basis and rules and practices that regulate behavior of people in society. Transparency is one of the mechanism that together with virality challenges social structures - Virality has the force because with many people are exposed to the message very fast. As a result, the mass demands answers, greater accountability. It forces governments and nations, public and private institutions and people to act and respond. This power of people to share information can circumvent traditional gatekeepers and elites to demand accountability and that changes the structure of society. JH: A lot of times we think of network gatekeepers as bad because we are afraid that they are controlling info in ways that aren’t good, but these gatekeepers also tie us together. When gatekeepers share and promote information, they give us a common experience that keeps our society linked together. So on one hand, gatekeepers can hinder important information or on the other hand they also tie us together. JS: Can you talk about the methods used in study of blogs. JH: We collected and analyzed large heterogenous data sets. One person who was key is Sean Walker. We collected a large amount of videos from the 2008 [US] election and blogs, stored in Sql data bases. We used social network and econometrics regression to look at life-cycles of virality. When we categorized videos, we used content analysis. Both statistical techniques and content analysis methods were used. For the book, we found new cases, involving additional data and analysis. We used a lot of existing research- with interdisciplinary synthesis of marketing, communication, computational social science, political communication, sociology, and network theory. We structured book and chapters in logical groupings that could be used to teach a course. JS: What advice can you share with researchers who are interested in virality? KN: Next steps involve incorporating different disciplines and not looking from just one. Compare virality today and before we had social networks, what has changed? Another thing that is important to continue and study is the impact on societal structure. We are only at the tip of the iceberg to understand the impacts. JH: This is a new area that has really not been touched. The people who went into this first were in marketing and there is research in that area that is in depth. Then the computational social scientists have started looking at very big events with millions or billions of views or shares. But what is really missing is the qualitative social look at virality. How is this tied to identity? When people share things, why this and not that? Those are some really important questions we would like to understand. There is also this question of scale. Computational social scientists are interested in looking at these big events, there is almost a data fetish about looking at really big things. But a viral video that’s shared an indigenous communities in the Northwest [of the US] that just gets 5,000 views may be more impactful on that community than Gangnam Style that got a billion views and was seen all over the world. We need to think about virality as scalable. What are the boundaries? When it stops, why? What about context? Something that goes viral in the US may not go viral in Canada. We’d like to understand why. We look at tweets and videos and talk about research in other areas, but how is it that viral games that spread differently than videos? What about viral tweets versus viral news stories? There are a huge number of questions. The methods that people need to use are every method that every researcher uses. There is a really strong case for doing qualitative work, we need to interview people to ask them why they are spreading or not spreading content. We need to do grounded theory to understand these questions from the ground up. We need to keep doing the big data quantitative analysis, because that does give us a perspective. But I think this is a topic that can be studied many different ways, in different fields. I hope our book is a starting point. KN: Virality is a complex phenomenon with impacts on the individual level, communal and societal level. It is important to raise the ethical issues around virality, because when something goes viral the spread of information is out of control. Once something becomes viral, it is hard, almost impossible to control. The non-controllable nature of virality raises hard questions about privacy or breach of privacy of individuals. What are the limits, what are the red lines of society? What are the ethical rules that we employ in terms of the data we analyze? Can we use the data? The easy way is to think it is OK if we anonymize the data. But if someone is harmed there is no way back, the life of the person, the course of history will change because of that virality. The 7th chapter attempts to think forward about the concept of virality. The question we need to ask ourselves is: what will we be left with? What will history look like 200 years from now because of viral events, sharing and many-to-many interactions? It is not like the traditional gatekeepers can only give us certain pieces of information, like they used to 200 years ago. Now that we have viral events being curated, what will that mean for history, for the many narratives that constitute history? Are we going to get a more equitable and just society because we hear more narratives? Or maybe the opposite, because of the power interactions behind the scenes? What will be the prevailing narratives when people look back at our time? What are we leaving to the next generation in how we archive these viral events? 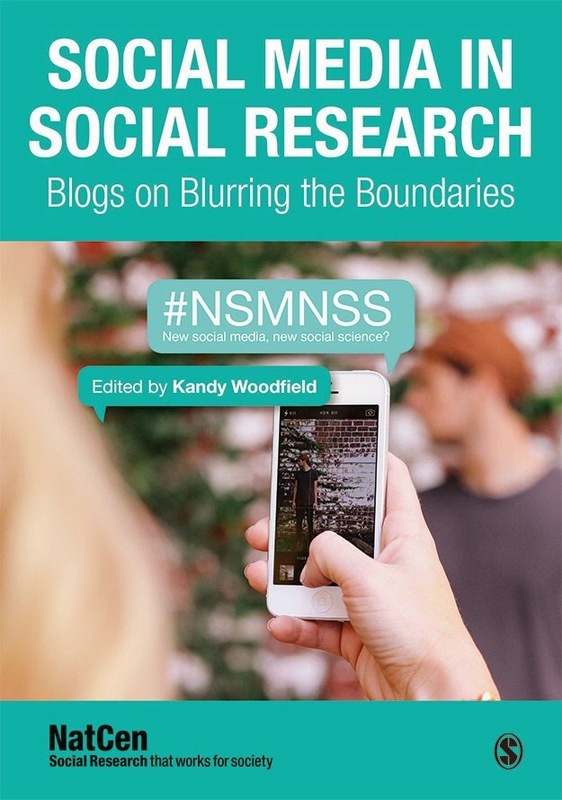 I hope NSMNSS readers can grasp the discussion—and research— potential for the topics covered in the book, Going Viral. For this reason I think it would be a terrific text in a course where generative conversations could be had with future researchers of digital culture and communications. If you are doing research in a related area, I hope you will use the comment area to share ideas and links to your work. PS. I did not pay Jeff to make that comment about the need to do interviews about the motivations for online sharing, but I hope it goes viral!